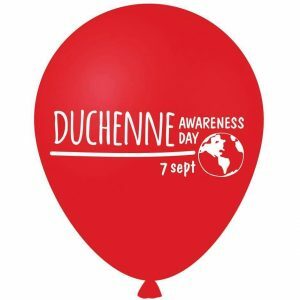 The first World Duchenne Awareness Day (WDAD) took place on 7th September 2014 and is an international event whose main goal is to raise awareness of Duchenne muscular dystrophy and the importance of early diagnosis and daily therapy. In 2018, the WDAD theme is the implementation of the Standards of Care. Everybody around the world will raise awareness and money through Duchenne Balloons. The goal of our fundraising efforts are to implement the Standards of Care globally in different ways. One of them will be through the development of educational videos. Education is the first step to implement good standards of care and make Duchenne dreams come true! On September 7, 2017 the fourth annual World Duchenne Awareness Day took place. It represents a great action of the global Duchenne Community to raise awareness for children and young adults living with Duchenne Muscular Dystrophy. 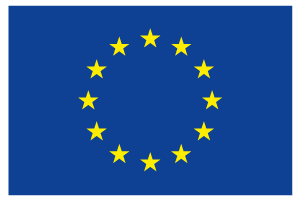 This initiative is, year after year, becoming so impactful involving more than 40 countries, around 70 organizations and for the second year is celebrated under the High Patronage of The European Parliament. Having Pope Francis acknowledge WDAD to make it more powerful. WDAD 2016 will be focused on Early Diagnosis: identifying and communicating early signs of Duchenne in order to guarantee a good quality of life to the children. Although some studies show a slight improvement in the age of diagnosis of Duchenne there continues to be a delay on average of around 2 years in terms of diagnosing through a health professional and in obtaining a CK test after parents have seen the first signs. To reduce these delays, neonatal screening for Duchenne is instrumental but so far it is only available in a few countries. Early recognition of the obvious signs is the best instrument we have at the moment. Delayed gross motor milestones, Gower’s sign, and delayed speech should raise a red flag and be followed up by a CK blood test as soon as possible. Early diagnosis of Duchenne will allow for timely access to genetic counseling, standards of care, and opportunities for clinical trials. Through video’s the world will be informed about the Early Signs of Duchenne Muscular Dystrophy and the importance of Early Diagnosis. The Manifesto will be shared in public places and online, and all over the globe thousands of Duchenne balloons will be released during local events. On www.duchenneballoon.org digital balloons will be released. The donation of these balloons will help raise funds for projects supporting Early Diagnosis programs for the global Duchenne Community. Vital actions are being organized to bring an end to Duchenne, such as workshops and conferences. Families around the world help make September 7 incredible by organizing runs, walks and bike tours, triathlons and other sport events. From charity concerts to lighting bridges and buildings and stands at train stations: The global Duchenne Community will be raising awareness for Duchenne Muscular Dystrophy, because all together we can build a more inclusive world where equal rights and opportunities are guaranteed, differences celebrated and a cure for Duchenne Muscular Dystrophy discovered. The global activities are shared on the World Duchenne Awareness Day Facebook page. WDAD is also on Twitter and Instagram. World Duchenne Awareness Day is initiated by United Parent Projects Muscular Dystrophy and made possible by the Duchenne community worldwide. All materials are made by parents, neighbors, friends.